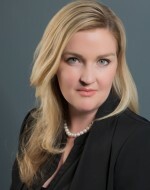 Karissa K. Mack is a partner in LGC’s Las Vegas office, where her practice focuses mostly on litigation, including personal injury, premise liability, contract law and construction law. Born and raised in southern Oregon, Mrs. Mack earned her Bachelor Degree from Oregon State University in Political Science. Mrs. Mack received her Juris Doctorate from Whittier Law School, with a concentration in Business Law and a Certificate in Intellectual Property. Mrs. Mack is admitted to the Nevada State Bar.